The Jennings Family: Monday was a 10!!! Monday was a great day because it was Maggie's first gymnastics day!!!!! Woohoo! Can you tell who is more excited about this?? As most of you know, gymnastics was my sport! I LOVED it and still love it! 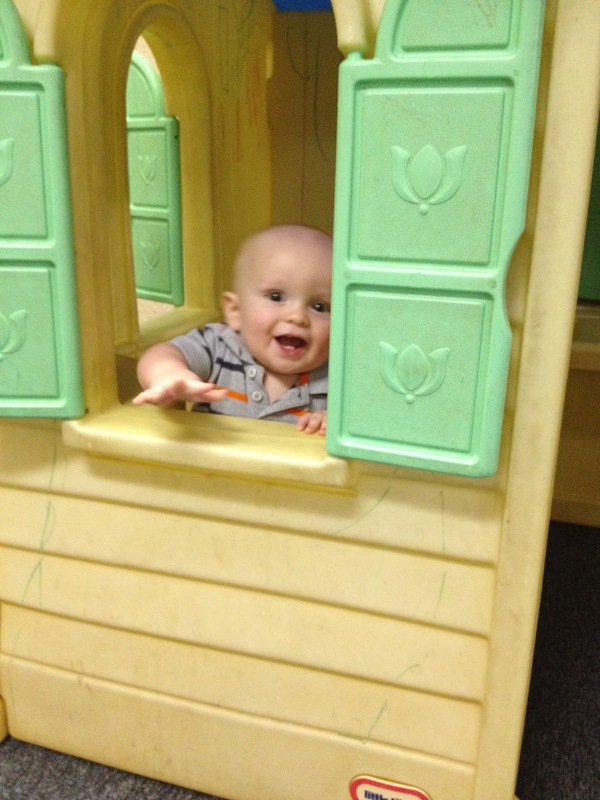 At the awesome gym here in Abilene, they offer a preschool class for 2 1/2 year olds and it's not one for mom and tot! So I signed her up! Actually Hunter took gymnastics last year. (See this post.) And I had been planning since last year that this would be Maggie's summer! I ordered her an official GK leotard for her first class. It came in the mail a couple of weeks ago and she LOVES to wear it around the house. In fact the day it came in she put it on and then insisted to go out and jump. That's my girl! All the way to the gym she kept saying, "Me go jump, Wogan go jump, and Bubba go jump!" She was so excited! I really didn't know how she would do. Honestly I was a little nervous! 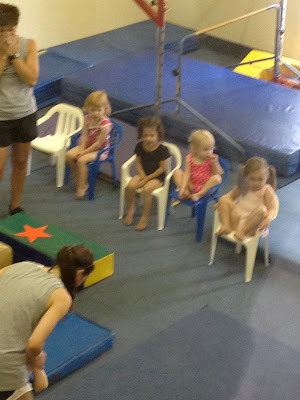 Logan is taking gymnastics too and I could just picture them going off and doing their own thing. I just didn't know if she would sit and wait her turn, but she did! I really love Beamers. They don't really make the kids sit and wait that long. Hunter LOVES gymnastics, too! This will be his last summer in the preschool program. He has been wanting me to spot him on back handspring on our trampoline and he is actually pretty good! I think he gets it from my cheerleaders. We are really thinking about putting him the the boys class in the fall. Three sweaty, candy eating kiddos! They all had a blast... and were very excited to have a piece of candy and a sticker. After gymnastics hug! I LOVE these kids! Just in case you are wondering... The US National Championships for gymnastics is on tv this weekend! It's on NBC on both Saturday and Sunday. p.s. Have you seen this commercial? I love it! 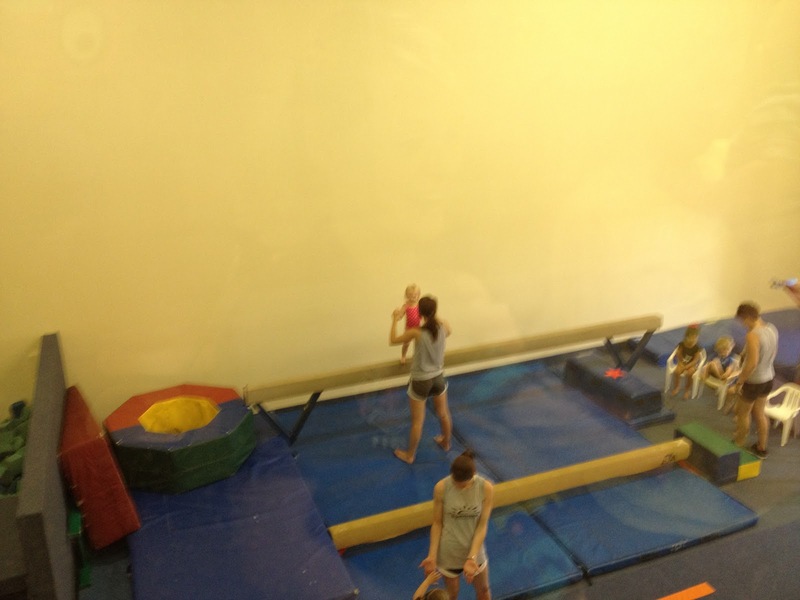 They have been running just the gymnastics one and although I was never that good, that was my mom! She has always been my biggest fan! Thank you, Mom!